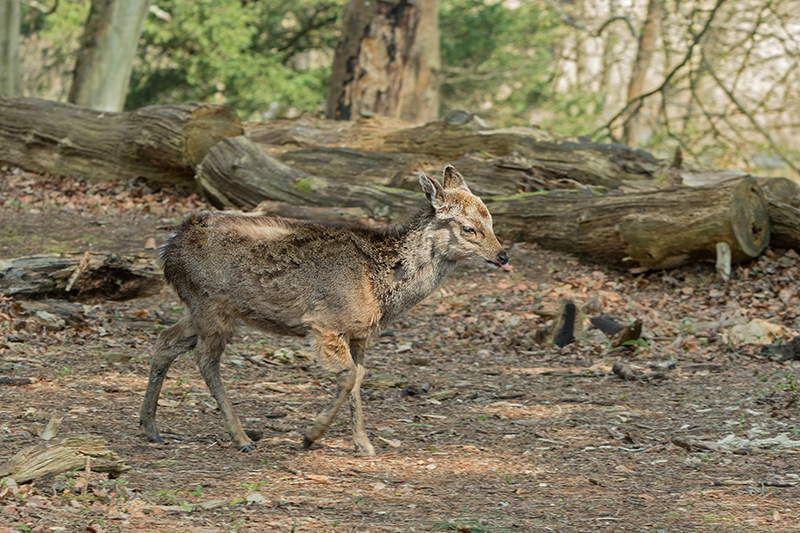 Whilst shooting the red squirrels in the Brownsea woodland, this hind made her way across in front of us. She looks a bit ragged, perhaps shedding her winter coat ? Well taken Stan, really blends in with the BG.